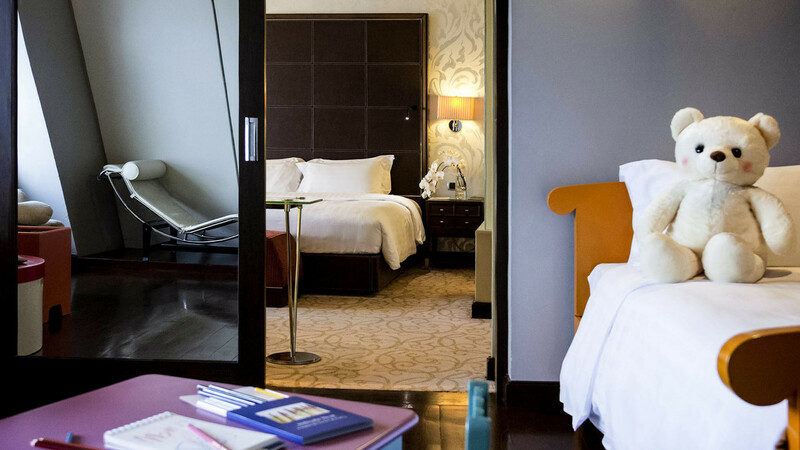 Discover Bangkok’s elegant side with a stay at this luxurious 5-star sanctuary, offering contemporary comforts and a fabulous selection of facilities. 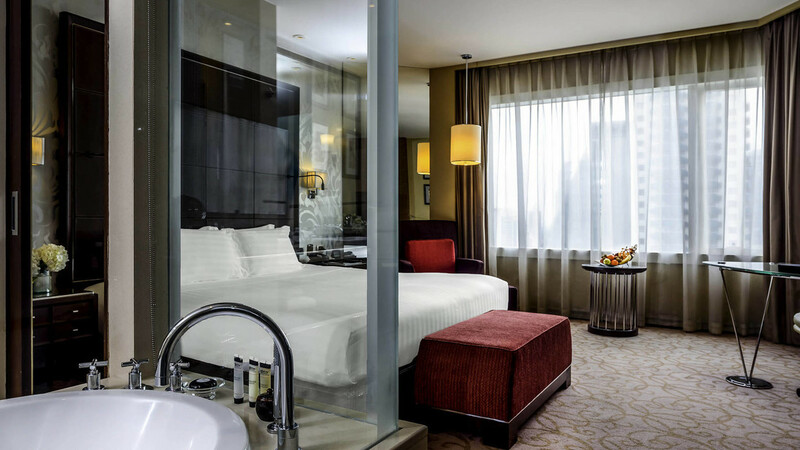 Pullman Bangkok Grande Sukhumvit Asoke Hotel is an ideal retreat at the end of a day sightseeing and shopping in the bustling maze of the city. Get pampered at the spa, refresh in the swimming pool and enjoy sublime cuisines in one of three onsite restaurants. A plush room or suite awaits after dark, with suitable options whether your holiday to Thailand is with family, friends or a partner. Bangkok doesn’t have a beach, but Hua Hin is within easy reach a few hours away if you fancy combining your Bangkok city break with some beach time. 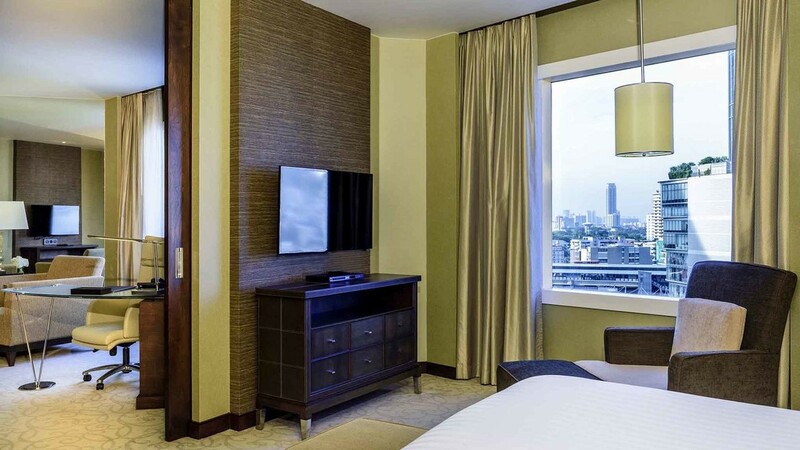 Pullman Bangkok Grande Sukhumvit Asoke Hotel is in a city centre location with numerous shops, bars and restaurants in the nearby vicinity. 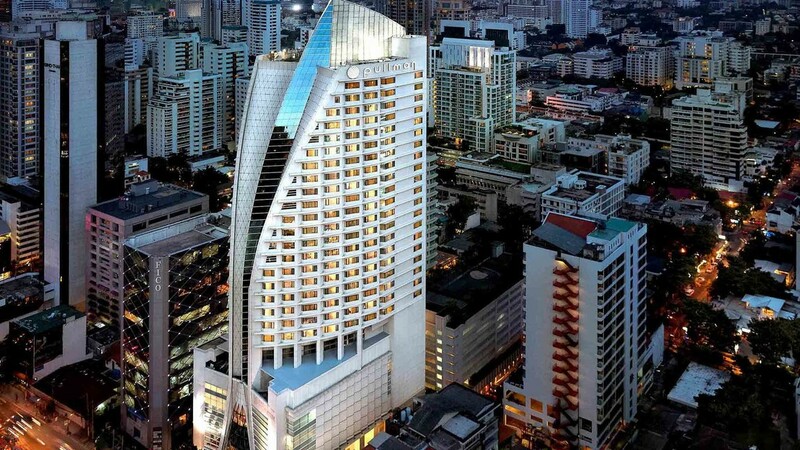 Asoke BTS Skytrain Station and Sukhumvit MRT Station is 400m away. 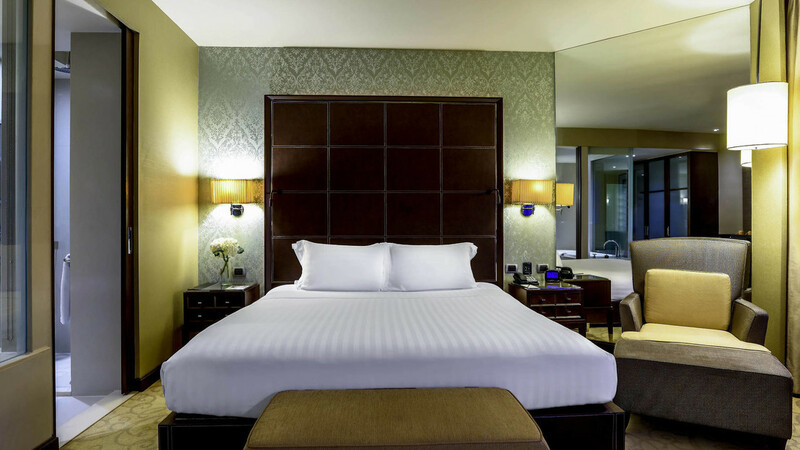 Bangkok’s Suvarnabhumi International Airport is approximately half an hour’s drive from Pullman Bangkok Grande Sukhumvit Asoke Hotel. Please note that details are subject to change. 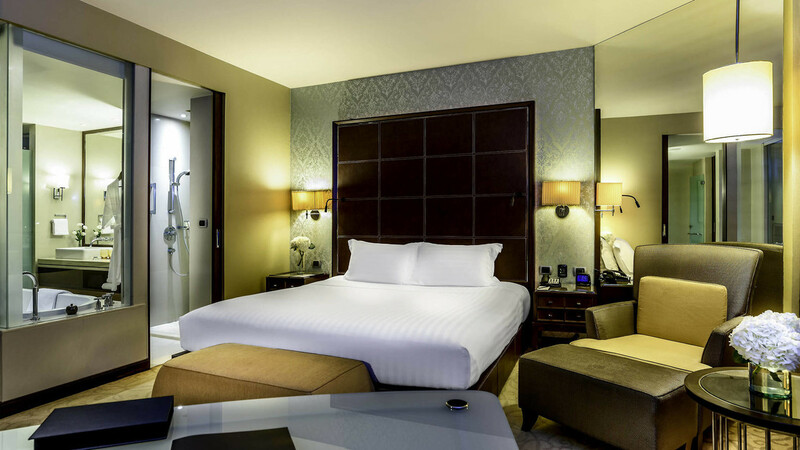 You will be provided with full Executive Lounge details on arrival at Pullman Bangkok Grande Sukhumvit Hotel.